These products were given to me by Hog Wild Toys in exchange for an honest review. Experience the thrill of skating like a pro with Tony Hawk Box Boarders. Tony Hawk has teamed up with Hog Wild Toys to create this awesome toy. Kids can download a free app and use it to film and edit their box boarders doing tricks. They can then share their videos with the online box boarders community with #TonyHawkBoxBoarder. 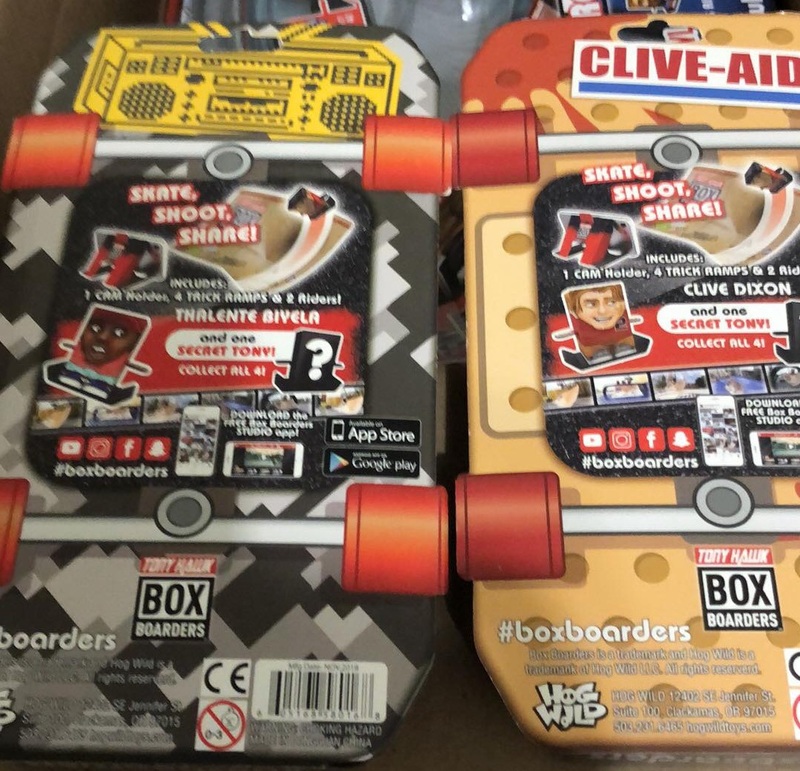 This is the Box Boarders Action Pack. 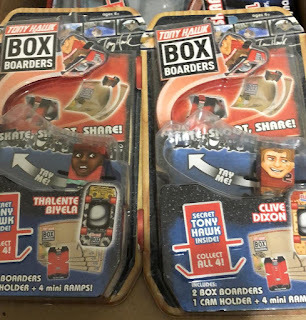 Each one contains 1 Box Boarder, 1 Mystery Tony Hawk Box Boarder (there are 4 different ones and you won't know which you have until you open it), 1 camera holder and 4 quarter pipe paper ramps. There are 16 famous skateboarding figures you can choose from, including Tony Hawk, Lizzie Armanto and Aaron Homoki from the Birdhouse crew. 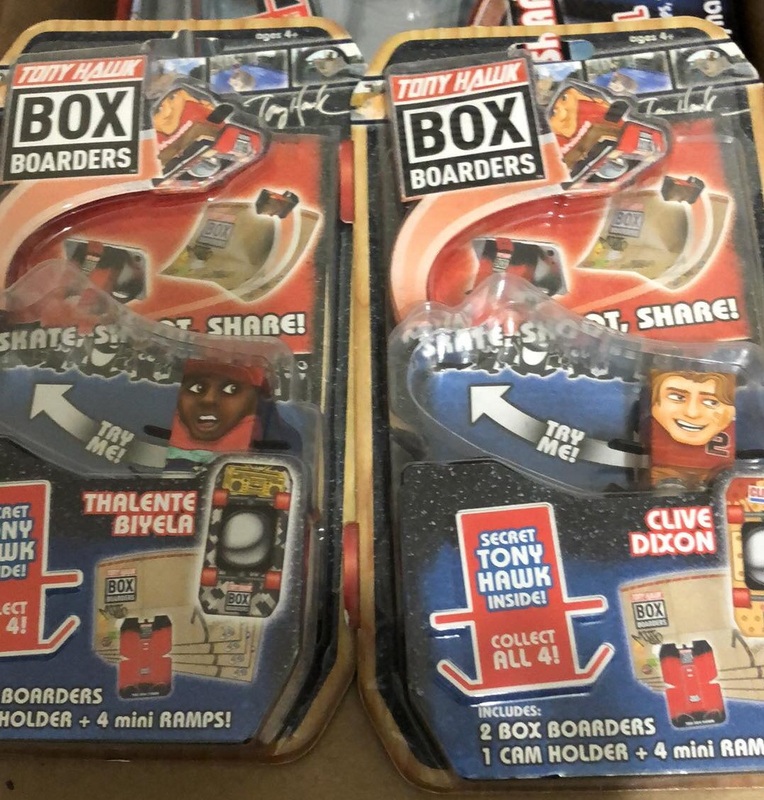 There's a steel ball bearing underneath the Box Boarder skateboard which allows them to skate in any direction. It is recommended for ages 4 and up. The suggested retail price is $7.99 and you can buy them at Walmart. 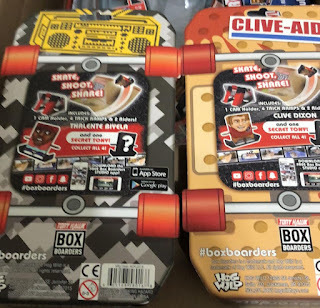 This is the Box Boarders Super Pack. 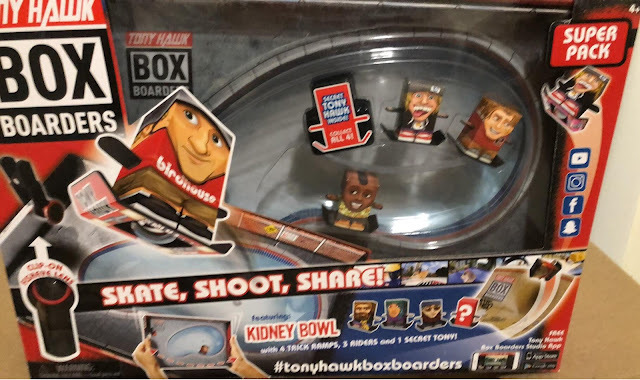 Each Super Pack includes 3 featured riders and 1 collectible secret Tony Hawk Box Boarder, 1 camera holder, 1 fish eye lens and 1 quarter pipe paper ramp. Just slide your phone into the phone slot on the side of the bowl to begin filming. There are 4 Tony Hawk skate parks, collect them all! They are the Kidney Bowl, Backyard Pool, Pro Park and Eight Bowl. This is recommended for ages 4 and up. The suggested retail price is $19.99 and you can buy them from Amazon. You can also visit Tonyhawkboxboarders.com for more information.